It is true that Canadians are more low key than their American cousins; this is why celebrations for Canadian Thanksgiving are more subdued. 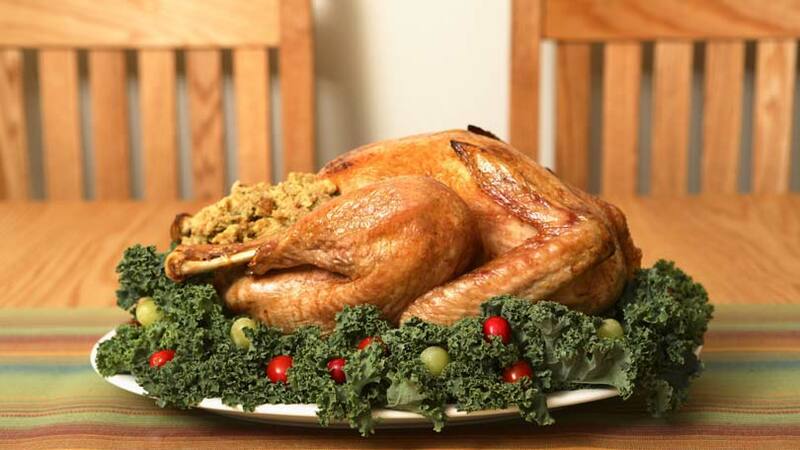 Thanksgiving in the US is welcomed with much hoopla as it is considered an equally important holiday as Christmas. Try booking a flight to the US during Thanksgiving week – that will give you an idea of how Americans will make time to travel to be with family. According to writers, the first influence may have come from Europe. Farmers in Europe would offer a goat stuffed with many good things as their way of saying thanks for a bounty harvest. Another influence would be to celebrate the safe journey of Martin Frobisher – a British explorer who landed in Newfoundland in the 1500s (this has been challenged because some writers say that Martin Frobisher had nothing to do with Canadian Thanksgiving). Since then, other explorers who arrived in Canada continued this Thanksgiving tradition. In the 1600s, pilgrims continued this tradition of giving thanks in the New World and brought some practices to Nova Scotia. The Canadian Parliament in the 1800s then assigned the 6th day of November as Thanksgiving Day, but that date has changed many times; finally in 1957, Parliament declared the second Monday in October to be officially Thanksgiving Day. Canadian and American Thanksgiving celebrations differ somewhat. Canadians give thanks for a good harvest while Americans give thanks to the early Pilgrims who settled in the New World. Like the Americans, we roast a turkey and serve it with mashed potatoes, cranberries, vegetables and pumpkin pie. Perhaps serving dessert with maple syrup would give it that distinct Canadian touch. Here are two Canadian recipes that you might want to try for this year’s Thanksgiving dinner. Both recipes are from Canadian Living Magazine (online version). Remove rind from orange; chop rind and place in food processor. Working over food processor to catch juice, cut off white pith; cut between membrane and pulp to release fruit into processor. Add cranberries, jalapeño pepper, maple syrup and salt. Blend until fairly smooth. Let stand for at least 1 hour. Add up to 2 tbsp (25 mL) sugar to taste, if desired. Peel and cut squash into 3- x 1/2- x 1/2-inch (8 x 1 x 1 cm) strips to make about 5 cups (1.25 L); set aside. In large saucepan of boiling salted water, blanch green beans until tender-crisp, (3 to 6 minutes). Drain and chill under cold water; drain well. In large skillet, heat oil and butter over medium-high heat until foaming. Add squash; cover and cook, turning twice, until tender-crisp, about 5 minutes. Add green beans, maple syrup, soy sauce, salt and pepper; cook, turning gently, until heated through and evenly coated. Mix in walnuts. Scrape into warmed serving dish. The traditional Canadian Thanksgiving was meant to give thanks for a good harvest, but times have changed and millions of Canadians now live in cities, not in farms. What are some of the things we should be grateful for as Canadians? that we’ve kept our sense of humor in spite of the atrocious winters we have.